This November was the first annual Financial Literacy Month, a national initiative to raise awareness of the need for financial literacy in Canada and to highlight the programs, services and tools available to help Canadians improve their financial knowledge, skills and confidence. 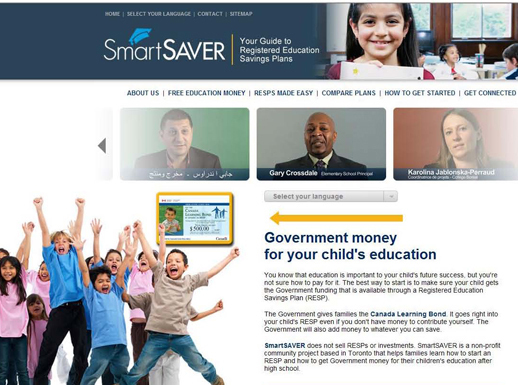 The initiative was organized by the Financial Literacy Action Group (FLAG), a coalition of seven non-profit organizations including SEDI, in collaboration with the Financial Consumer Agency of Canada (FCAC). The kick-off for this exciting month of events and activities occurred on October 31, 2011 at the Central YMCA in downtown Toronto with the Honourable Jim Flaherty, Minister of Finance, accompanied by James Rajotte, MP for Edmonton-Leduc and Chair of the House of Commons Standing Committee on Finance. Also in attendance was Donald Stewart, who served as Chair of the federal government’s Task Force on Financial Literacy. The month was highly successful, comprising of over 200 scheduled activities offered by 75 different organizations across Canada, such as educational sessions on budgeting, saving and credit management. Planning is already underway for a similar initiative next year. As part of Financial Literacy Month, the CCFL hit the road to meet with community based financial literacy practitioners and funders in communities across Canada. Our goal was to bring people together to share information about their programs and to learn more about the innovations and challenges of community based financial literacy delivery. We partnered with organizations in 5 regions to plan and co-host community events in Vancouver, Toronto, Montreal, Halifax, and St. John’s. A summary report of what we learned will be available in early 2012 and key learnings will be used to shape the CCFL’s strategic direction going forward. The CCFL would like to thank the United Way of Toronto, the Community Sector Council of Newfoundland and Labrador, the Centre for Entrepreneurship Education & Development in Halifax and Union des consommateurs in Montreal who hosted and organized the Conversations in Communities. Their support was greatly appreciated. SEDI held its first community conversation in partnership with the Community Sector Council of Newfoundland and Labrador (CSC) on Friday, November 4, 2011 in St. John’s, Newfoundland. The mission of CSC is to encourage citizen engagement, to promote the integration of social and economic development and to provide leadership in shaping public policies. We were welcomed by community leaders who were passionate about poverty reduction and working to bring financial literacy to low-income communities in St. John’s and across the province. The Community Sector Council have profiled the conversation on their website. To read more and see photos from the event click here. We are grateful for the conversation and will include a write-up in our report. A big thank you to the CSC for hosting and to everyone that joined us! Laura Watts recently resigned as Chief executive officer at SEDI and we wish her all the best in her future work in the area of elder law. We are very pleased to announce that Liz Mulholland, a long-serving SEDI Director, has assumed the role of SEDI’s Interim CEO and, consequently, has stepped down from her role on the Board. Liz is a well-respected policy consultant with over 20 years experience in national social policy development and voluntary sector capacity building. She is looking forward to working with the SEDI team and with our community, government and corporate partners to advance innovative and effective financial literacy, savings and entrepreneurship initiatives for low-income Canadians. The CCFL is pleased to introduce our three new trainers: Melanie Buffel, Christina Sackeyfio and Natasha McKenna. Melanie has spent the past 20 years leading grass-roots programs designed to help people overcome financial crisis and develop the skills and confidence to build a wide range of assets. She has served as a loans officer, an employment program manager, a financial literacy facilitator, a money coach and the coordinator of the BC Asset Building Collaborative. Her work is inspired by her strong commitment to social justice and her own experience as a single mom of two. Melanie finds tremendous satisfaction in empowering people to take more control of their lives and finances. In 2008, she received the SEDI "Passion for Financial Literacy Award" in recognition of her commitment and passion for this work. Melanie studied in the Community Economic Development Program at Simon Fraser University and is currently completing a Masters of Business Administration, specializing in Community Economic Development, through Cape Breton University. She joined SEDI and the Canadian Centre for Financial Literacy in February and resides in Vancouver, BC. Melanie has been coast to coast, recently offering trainings in Miramichi, New Brunswick and Pemberton, BC. Christina is excited about helping young people achieve empowerment. A former director for Parkdale Project Read’s Literacy Through Hip Hop program in Toronto, she brings with her experience in the area of youth literacy. 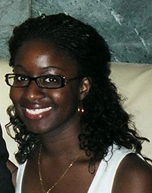 A member of the Ghanaian-Canadian community, Christina has mentored and provided programming for newcomer and first-generation youth in Toronto, and plans to expand her volunteer community work by developing a social enterprise supporting young women in Ghana. Christina has graduate degrees in Education from the Ontario Institute for Studies in Education and Business Administration from the Schulich School of Business. She joined the CCFL in September and has recently returned from delivering a training session in North Claybelt, Ontario. 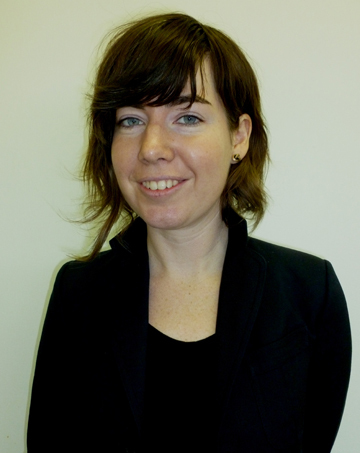 Natasha has years of experience working and volunteering in the non-profit sector developing skills in the areas of program planning, event management and group facilitation. Using her wide range of skills, she has coordinated national programs on financial management and entrepreneurship, contributed to success of community events and festivals, and trained community volunteers. Natasha is currently working on her Master’s degree in Adult Education and Community Development at the Ontario Institute for Studies in Education at the University of Toronto. 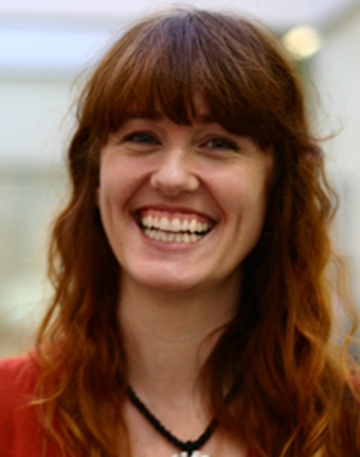 Natasha is committed to learning and supporting others in their learning journeys. She is thrilled to be working with and learning from community organizations across the country. She joined the CCFL in September and recently delivered a training session in her home province of PEI. The CCFL is committed to supporting community organizations working to build the financial literacy of low-income Canadians. 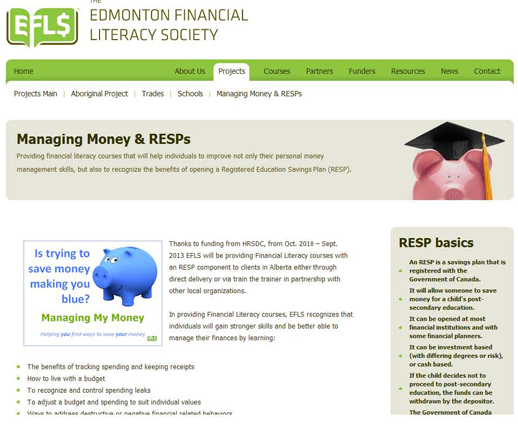 Our goal is to connect practitioners with the information and resources they need to support innovative, relevant, and effective financial literacy programs. 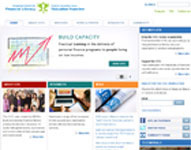 On the CCFL website you will now find links to downloadable activity sheets from our curriculum (currently in English only), and a map of the community organizations in our network of CCFL trained facilitators. 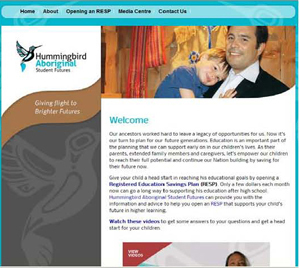 We will continue to add new resources and content to the website so stay tuned for more. Check it out here. Come join in on the conversation with us at www.facebook.com/sedicommunity where we share links to resources, interesting news, and SEDI updates. SEDI is proud and excited to introduce START, a pilot project on financial literacy and matched savings aimed at low-income individuals that we are launching in three cities across Ontario: Ottawa, North Bay and Windsor. SEDI’s START partners are Causeway Work Centre , Yes! Employment Services of Nipissing and the Youth and Family Resource Network of Windsor/Essex. The START project is a matched savings pilot project designed to test the assumption that low-income Ontarians living in, or on the waitlist for social housing, will respond positively to financial incentives in order to set and achieve personal savings goals and improve their economic prospects. In addition to the 3:1 matched savings incentives, participants will receive supports such as financial literacy training and case management from the community-based partners. SEDI received funding through the Social Housing Services Corporation (SHSC) to pilot the START project and provide the matched savings to up to 500 individuals so they can save for housing, education or entrepreneurship. One of the main objectives of the CCFL is to increase the capacity for community organizations in Canada to offer financial literacy to low-income community members. Since its inception the CCFL has partnered with over 400 community organizations, training over 1100 staff to offer financial literacy in communities across Canada. We are privileged to meet so many amazing people across the country fiercely dedicated to the well-being of their communities. In October, CCFL Trainers Melanie Buffel and Christina Sackeyfio travelled to beautiful Miramichi, New Brunswick to offer a two-day Financial Literacy Training of Trainers in partnership with Douglas Cooling at Miramichi Adult Learning Inc (MALI). 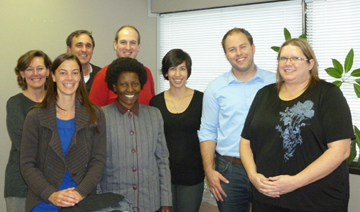 The training was attended by 18 staff representing a range of programs at the adult education centre. If you are from a nonprofit community based organization and would like to partner with us to host a CCFL Financial Literacy Training of Trainers, click here for more information on the training and how to apply. 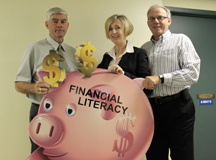 On November 25th, 2011 SEDI announced the 11 community organizations that have been awarded a total of $741,543 from the TD Financial Literacy Grant Fund to support financial literacy. SEDI administers the TD Financial Literacy Grant Fund and selected the eleven grantees from 157 applications submitted by organizations focused on serving, among others, women, at-risk youth, new Canadians, homeless people, seniors, and people with disabilities. The demand continues to be strong for TD Financial Literacy Grant Fund support, reflecting a critical need for financial literacy in our society, particularly among lower income and vulnerable groups. The grantee projects reflect a diversity of ideas and client groups and will provide great potential for sharing best practices and improving outcomes in the field. A full list of the grantees may be accessed at the website www.sedi.org/grantfund. The next application deadline for the TD Financial Literacy Grant Fund is Thursday, February 2, 2012. Please refer to the website for more information including guidelines, FAQ’s and application forms. SEDI promotes economic inclusion of low-income people by helping them build their knowledge, skills and confidence to make good financial decisions in addition to building their assets to create a more secure future. Savings for a low-income family to send their children to postsecondary education can assist in breaking the cycles of poverty. 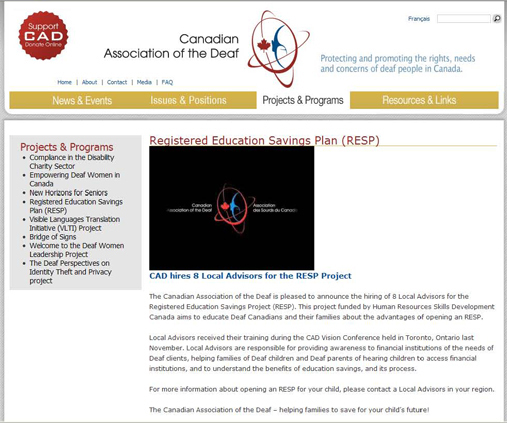 The following is a list of just some of the programs across Canada that are working to educate Canadians about the value and strategies for education savings. If you would like to share success stories and information on events related to the work your organization is doing in the area of financial literacy and asset building please contact info@sedi.org.